KATHMANDU, March 24: Chairman of the Federal Socialist Forum Nepal (FSFN), Upendra Yadav, has said that the party has no immediate plans to quit the government. However, he clarified that there are possibilities of quitting the government after the party’s merger with Rastriya Janata Party Nepal (RJPN). 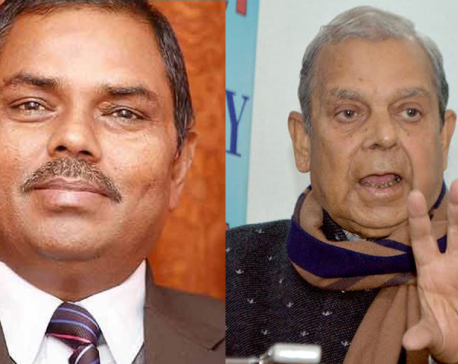 Yadav was responding to calls from RJPN presidium member Mahendra Raya Yadav who had requested the FSFN to sever ties with the Nepal Communist Party, its partner in the ruling coalition, in order to clear way for the merger. FSFN is one of the two parties in the ruling coalition. “This issue can be resolved through consensus or mutual understanding or through decision that the unified party takes after the merger,” Yadav said in a letter dated March 20, adding that he was ready to own up the party’s decision post merger. 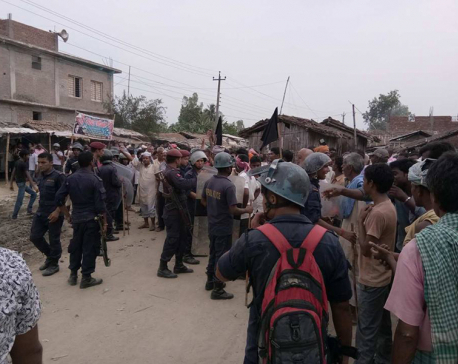 RJPN and FSFN, the two regional parties which run a coalition government in Province 2, have been exploring possibilities for merger for the cause of Madhes. Four months after the FSFN announced a talks team led by Rajendra Shrestha, RJPN last week formed a five-member team to hold merger talks with the FSFN, paving the way for formal dialogue in the merger process that was in limbo since a year and a half. RJPN is weighing options after Yadav turned down the request to quit the government. Sources said that most leaders of RJPN are in favor of sticking to merger, but few others have been insisting on need of refraining from talks until the party severs ties with the government. RJPN leader Brishesh Chandra Lal, a member of the talks team, said that the team itself would discuss this issues and iron out the differences between the two parties before a deal is brokered. Experts say although it’s too early to tell whether the renewed efforts will materialize, both parties have been realizing the need of a unified party in Madhes in view of the increasing polarization in the national politics. The regional parties are feeling the heat after the Nepal Communist Party, a product of a merger between the erstwhile UML and CPN (Maoist Center), won a comfortable majority in parliament. Despite bolstering its performance in the parliamentary elections, RJPN is poised to remain outside the government for the next four years. On the other hand, FSFN joined the government accepting two ministerial portfolios. CK Raut’s entry into mainstream politics has also added pressure on the two parties which have been expecting one more challenger in the already crowded sphere of regional politics.